Vallado means “big valley.” As anyone who has taken Quinta do Vallado’s vintage Land Rover white knuckle tour to the top of this Douro estate can attest, it’s vertiginous too; the vines rise from 80 to 380 metres above sea level. Up top is where the oldest vines – centenarian field blends of some 34 assorted grape varieties – remain stubbornly rooted. 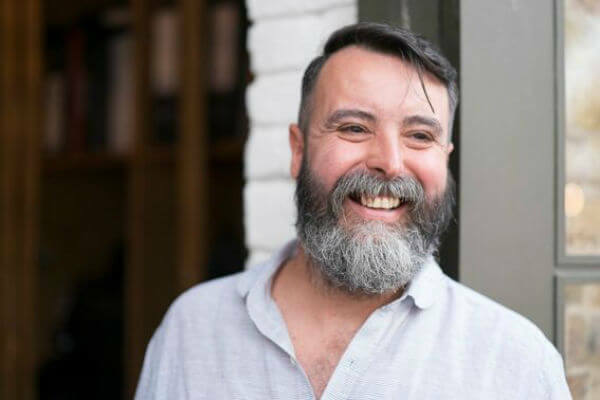 It is from here – the crown (“Coroa” in Portuguese) – that Vallado has launched a new, strikingly different red wine called Vinha da Coroa from a two hectare parcel of that name. Until the release of Quinta do Vallado Vinha da Coroa 2013, this parcel’s fruit went into Vallado Tinto, the much bigger volume entry level wine. A good ruse for diluting this greenness. So why launch a new wine made solely from this parcel? 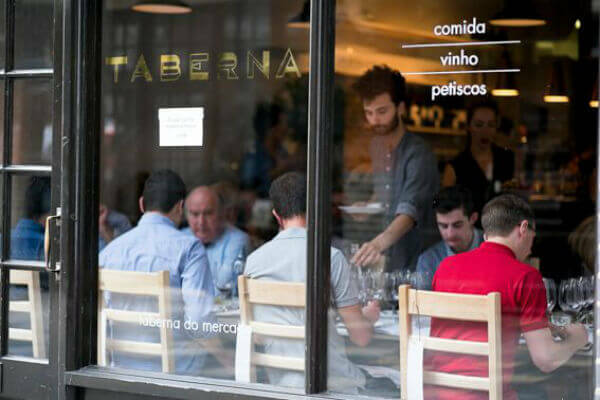 For Ferreira, it has resulted from getting to know Vinha da Coroa better. A clue, until recently, undiscovered in old papers pointed to its cooler, pre-dominantly northerly exposition – the parcel used to be called “Old Moscatel” (i.e. was once planted to this white wine variety). A factor which, together with its richer soils, explained why tannin ripeness – this greeness – was an issue for Vinha da Coroa, but not for Vallado’s other old vine parcels. Quite sensibly given Vallado’s location in the Douro coolest, wettest sub-region (the Baixo Corgo), most of Vallado’s vines worship the sun, facing south-west. An aspect which, says Ferreira, is the secret to the “very mature, very balanced” tannin quality of top reds Quinta do Vallado Reserva Field Blend and Quinta do Vallado Adelaide, not to mention their powerfully concentrated fruit. 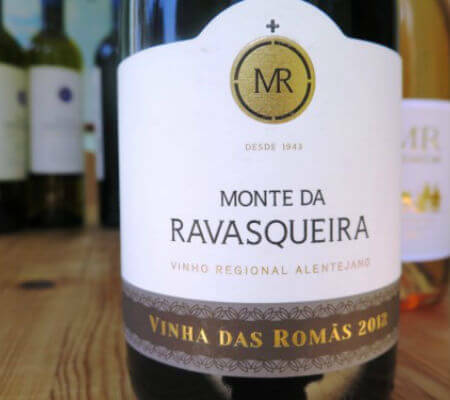 In fact, for Vinha da Coroa, he even picked this cool site a bit earlier to highlight its cool character – I liked its crunchy red fruits, peppery lift and fresh acidity very much. This style of lighter but utterly serious wines has firmly taken hold in Australia where one producer recently told me “there has to be a life beyond the larger than life men and big wines about weight, power and strength. 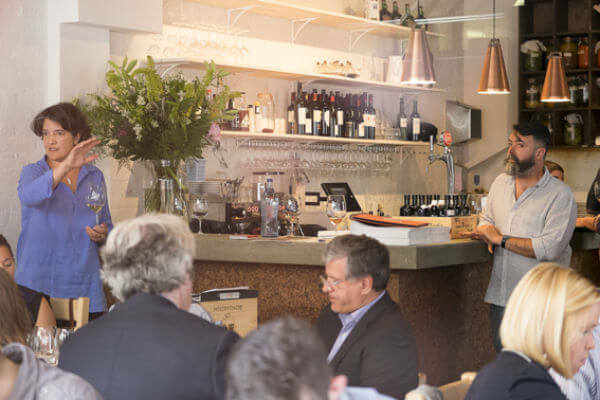 Australia can do that, but it can do other things as well.” As can the Douro where, Ferreira acknowledges, Niepoort was at the vanguard of this approach with Charme. A contrast which, travellers take note, is now reflected in their sophisticated oeno-tourism offer since the Ferreira family opened Casa do Rio in the Douro Superior. While Vallado’s well established hotels near Regua are within sight of this bustling town, Casa do Rio is distinctly off the beaten track. In fact, very much on a track, not a road. The track gently winds down Vallado’s Quinta do Orgal vineyard, leading you to this small (six room) boutique hotel overlooking the Douro. Almost hidden within the vine terraces like a bird hide, although bedrooms would benefit from better sound insulation, it’s a wonderfully peaceful location – a de facto natural retreat. I recommend it. So, aside from Coelho’s boyish enthusiasm for the project, what’s the appeal? The packaging is simple – it’s not trying too hard – but it is classy with a contemporary feel which would catch your eye on the shelf. And how contemporary is it to launch with two white Douro wines and one red! 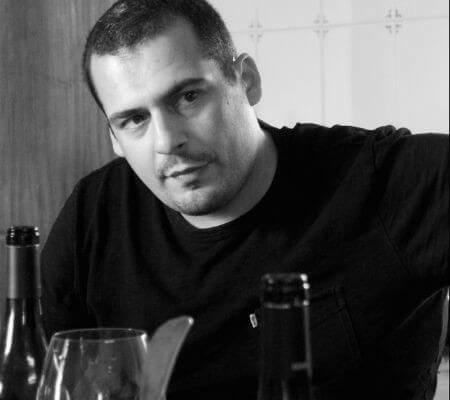 There and again (another detail) his consultant winemaker is ex-Niepoort man Luis Seabra, whose very own “Cru” (translation “Raw”) range I wrote up in these pages earlier this year. Just like Seabra, Coelho’s aim for his own wines is to show the Douro “in the most natural way…with minimum intervention, giving priority to the main important characteristics from the Douro Valley: vines, grapes, soils and climate.” And like Seabra’s Cru range, the whites are a little funky and very textural. In a way, not so very different from the labels – not trying too hard but insinuating – they find their mark. In fact the whites are the stronger suit; I found the red a little rustic. Which is fascinating when you consider that the whites come from the generally warmer, drier Douro Superior sub-region and the red from the Cima Corgo sub–region. 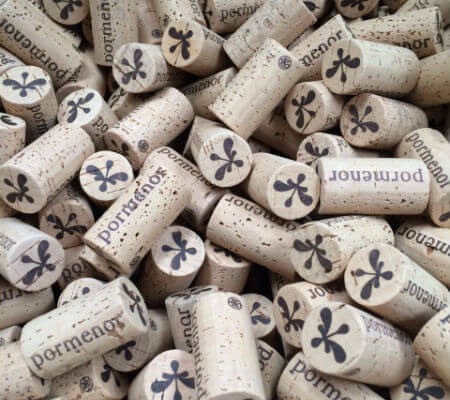 While the Cima-Corgo in the “heart of the Douro” is often cited as the source of the Douro’s most elegant wines and best Ports, Pormenor’s whites live up to their name – the devil is in the detail, especially site specificity. It’s precisely this factor which explains why, contrary to received wisdom, the Douro Superior is the source of some of my favourite Douro whites. Take Conceito, Quinta de Maritávora, Ramos Pinto Duas Quintas, Muxagat (though sadly Mateus Nicolau d’Almeida is no longer involved in this project) and Mapa. Never before has poker shared a thought bubble with Port. Not in my head anyway. But royal flush sprang to mind when Vasques de Carvalho revealed its opening hand – these ever so handsomely packaged 10, 20, 30 and 40 Year Old Tawny Ports. It’s a startlingly bold, high end debut in a sector with such notoriously high barriers to entry. Consider this. 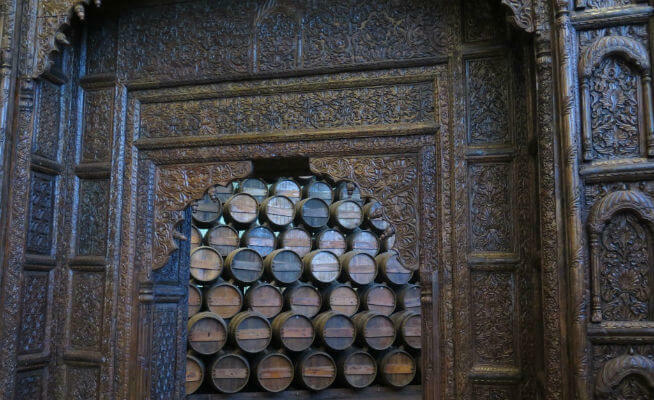 To start a new Port House requires a minimum stock of 150,000 litres if, like most houses, production is not exclusively sourced from your own vineyards. What’s more, the so-called “rule of one third” (Lei do Terço) requires Port producers to retain stocks of three times the amount they put up for sale. Suffice to say, with this strain on capital, Port houses do not spring up overnight. Less so producers of 10, 20, 30 and 40 Year Old Tawny Ports, which require decades of aged stocks successfully to produce these highly complex wood-aged blends. So how did Vasques de Carvalho pull it off? The answer lies in the partnership behind the brand. 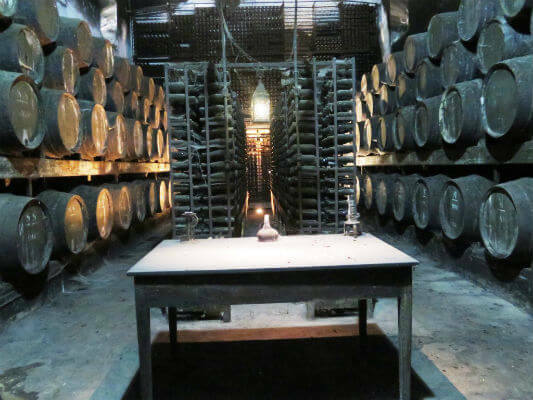 In 2012, António Vasques de Carvalho inherited his family’s wine cellars, 6 hectares of very old (80 years old+) vines in the Baixo Corgo and about 45,000 litres of old Ports, (including a rare lot of 1880 Tawny Port set aside by António’s great grandfather, José Vasques de Carvalho). António’s old friend Luis Vale of Kurtpace SA, a construction company, injected the capital, enabling Vasques de Carvalho (the Port House) to increase its stock to the requisite 150,000 litres. Additionally, the pair have started re-building the winery and barrel cellar at Régua (over which António sleeps, since the cellar is located below his house). The company has also acquired another cellar in Pinhão which already has 75,000 litres aging in small balseiros and toneis and four 40,000 litre capacity toneis. 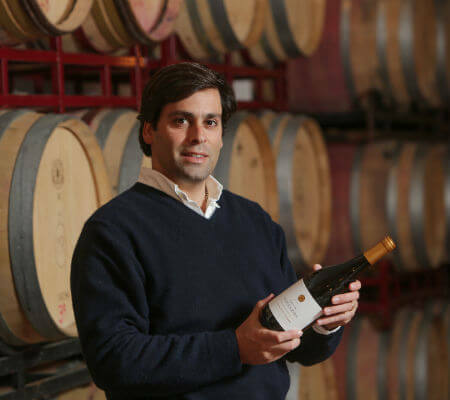 Winemaker Jaime Costa is in charge of the portfolio. Having worked for 16 years at Burmester, the former Revista de Vinhos Fortified Winemaker of the Year 2005 is plainly thrilled once again to have such fine and rare aged Port wines at his disposal. And his timing is good. The recent spate of headline grabbing, luxury-priced Very Old Tawny Ports means that Tawny Ports are, at last, having their day in the sun. In addition to the Tawny Ports – the jewel in Vasques de Carvalho’s crown – the portfolio includes an old White Port, 2013 Vintage Port and Douro wines (Oxum, X Bardos, Velhos Bardos Reserva). Next year the company will release a 2012 Late Bottled Vintage Port 2012, 880 bottles of 1880 Very Old Tawny Port and the first Douro DOC wine spirit, Aguardente Vinica. Though Douro reds Oxum and X Bardos (both 2012 vintage) did not impress me, the Tawny Ports (the only Vasques de Carvalho Ports I have tasted) most certainly did, especially the 40 Year Old. Its wonderful concentration and complexity is doubtless attributable to a judicious splash of the 1880 vintage, of which the company holds a remarkable stash – one toneis of 6,000 litres plus two casks of 400 litres (the latter presumably for next year’s Very Old Tawny release). Costa told me that all four Tawnies are 90% sourced from the Vasques de Carvalho’s old stocks, with 10% from other wines that the company bought between 2012 and 2014. Is there any better litmus test of what’s delicious and great value than what members of the wine trade themselves buy? Stocking up at Lisbon airport, the group of London-based sommeliers whom I lead on a tour of southern Portugal splashed their cash on Moscatel de Setúbal. I really hope that their enthusiasm translates onto their wine lists back home. 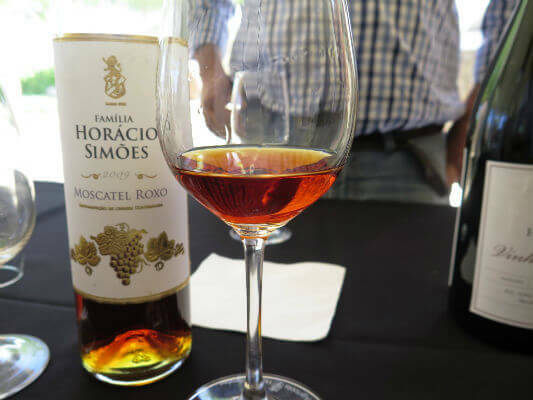 While Port sells itself, this fortified Moscatel could do with more fine wining and dining ambassadors to sing its much deserved praises. At Decanter World Wine Awards, my panel is similarly enamoured of its charms – there’s no better way to finish a day’s judging than to linger over a moreish flight of Moscatel de Setúbal. 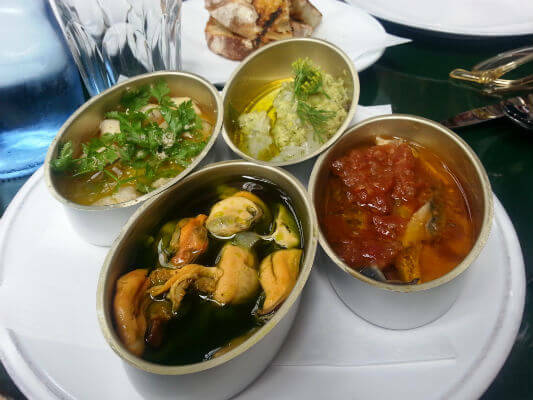 As the gold medals we regularly award them attest (not to mention their regular spot in the limelight at the Muscat du Monde awards), they are pure gold in every sense of the word. And royalty knew it. Apparently Moscatel de Setúbal was the toast of the courts of Richard II of England and Louis XIV of France. I suspect it was rather less good value in those days, so aren’t we the lucky ones – today you can drink like a king and pay like a pauper! You’ll find my pick of those wines I tasted on last month’s visit to Setúbal Peninsula below. 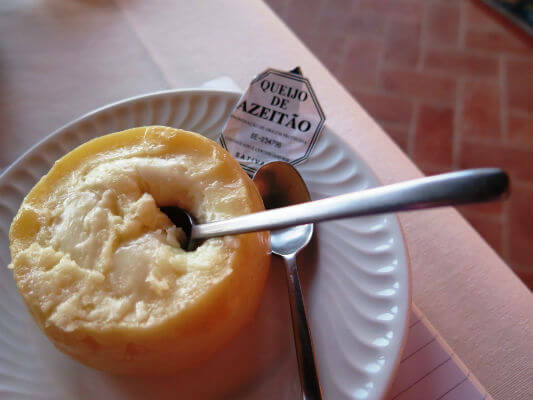 First, it’s worth taking a moment to explore what makes Moscatel de Setúbal so special. The natural place to start is the raw material – the Moscatel de Setúbal grape (a.k.a. Muscat of Alexandria), which must comprise at least 67% of the wine (85% for Moscatel Roxo). Though it’s generally considered to be inferior to its more famous parent, Muscat à Petits Grains, Setúbal producers cleverly extract the maximum aroma and flavour from Moscatel de Setúbal by macerating the fermented, fortified wine on skins for up to six months. What better way to release its heady perfume of mint, floral, citrus peel and ginger; peach tea in the case of the rare pink tinted Moscatel Roxo grape. As for sheer deliciousness, top wines are barrel-aged to allow grape sugars to caramelise, also to concentrate the resulting nectars by evaporation. In the past, barrels were lashed to the deck of tall ships and despatched across the equator for optimum mouthfeel and character. António Soares Franco, CEO of José Maria da Fonseca, told us that, as a result of sea spray, the motion of the waves and widely fluctuating temperatures on deck, these so-called “Torna-Viagem” Moscatels are particularly balanced, soft and a little salty. I had the great good fortune to taste a 19th century example a few years ago and, though I recall no saltiness, I can vividly recall its remarkable balance and silky, mellow mouthfeel. It seemed remarkably young for all its adventures at sea! 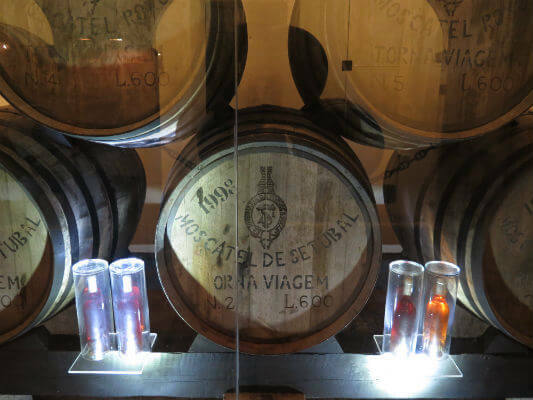 Thrillingly, since 2000, José Maria da Fonseca have been trialling the Torna-Viagem technique with the Portuguese Navy and, as you can see, those barrels which have been at sea appear to have aged faster (the Torna-Viagem samples on the left are darker). At Bacalhôa Vinhos de Portugal, the region’s other big producer of Moscatel de Setúbal, fortified winemaker Filipa Tomaz da Costa told me that they had developed special storage conditions “to create the environment of a ship.” In other words, “with no temperature, humidity or dryness control.” During summer, the wine inside the barrels can reach up to 28ºC! Though evaporation is consequently high, Tomaz da Costa doesn’t top up the barrels because more headspace (oxygen in the barrel) in combination with the heat helps to enhance the complex, rich rancio characters of her wines; perhaps a light touch of “vinagrinho” (volatile acidity) too. 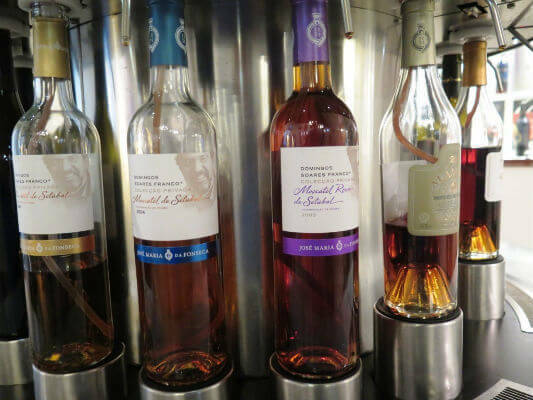 These characters are part and parcel of Moscatel de Setúbal’s sheer deliciousness, but the very best wines are distinguished by their balance and finesse. 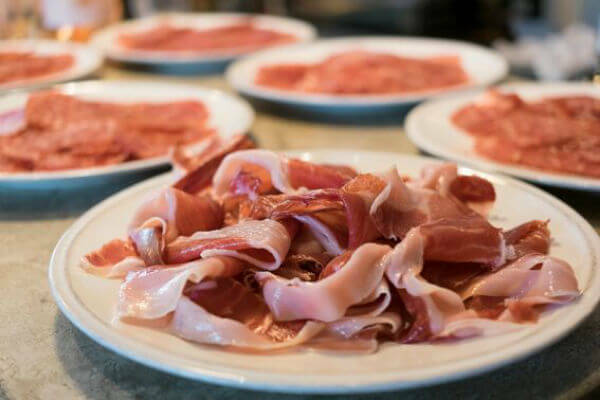 Which is why they are sourced from the clay and limestone soils of the region’s hills, especially the cooler north-facing slopes of the Serra da Arrábida (which used to be an island many years ago). These wines are markedly fresher and more detailed than those from the region’s sandy plains. José Maria da Fonseca Alambre Moscatel de Setúbal 2010 – this great value entry level Moscatel de Setúbal topped off most evenings during my holiday in the Costa Vicentina a couple of years ago. 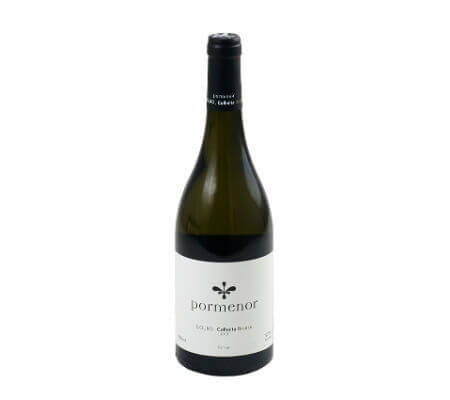 For approachability, the fruit is sourced from a sunny south-facing site and sandy as well as clay/limestone soils. Unlike some entry level wines, it was aged in old casks, which gives a delicious nutty edge to its toothsome caramelised orange palate; nice balance and length. 127g/l residual sugar; 17.5% abv. José Maria da Fonseca Roxo 20 Year Old Moscatel de Setúbal – made from the much rarer pink-tinted Moscatel Roxo this is a significantly deeper hue than its predecessor and, despite having quite a bit more residual sugar, seems fresher, drier (well less toothsome) and lighter on its feet. Sweet, sharp but exotic flavours of mandarin, pink grapefruit and peach tea mingle in the mouth; great line and length. My pick of the JMF four (though I should declare that I’m a huge Roxo fan). 217.8g/l residual sugar; 18% abv. Casa Agrícola Horácio Simões Roxo Moscatel de Setúbal 2009 – I’m a big fan of Horácio Simões, a boutique third generation family producer. This long lingering Roxo shows why. Silkily textured with richly concentrated caramelised oranges and peach tea, it shows a hint of malty wood and delicious creamy praline notes to the finish (it is aged in seasoned French oak barriques). Terrific generosity and mouthfeel with balance. Bacalhôa Vinhos de Portugal Moscatel Roxo Superior 2002 – my panel at Decanter World Wine Awards awarded this gorgeous Roxo a Gold Medal and Regional Trophy. I’d have awarded it the regional trophy all over again in this line up! Grapes are sourced from the cooler north clay/limestone slopes of the Serra da Arrábida. Still, aged for at least 10 years in small 200l French oak whisky barrels (which benefit from really clean pores) and in ship-like conditions with great thermal variation, it has surprising freshness, purity and lift. Referring to “the shocks of temperature, evaporation and concentration of acid and sugar and release of aromas connected with sugar,” Chief Winemaker Vasco Penha Garcia observes “it’s incredible when you age wines in these conditions that they get fresher, more floral.” Sure enough, Bacalhôa Roxo Superior 2002 has great intensity, lift and layer with rose water, buttermint and peach tea aromatics which follow through in the mouth together with a lovely purity of caramelised oranges, juicy mandarin, pink grapefruit peel and delicately toasted almonds and richer marzipan notes. Though luscious, it’s very persistent (good acid drive) and fine, the finish controlled, very balanced. 190.2g/l residual sugar; 19%.